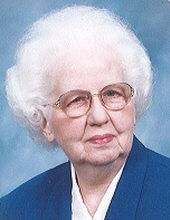 Marie Lovelace Fellers Nicosia, 95, of Newberry, died Thursday, January 17, 2019, at her residence. Born on September 25, 1923 in Prosperity, she was the daughter of the late Sheriff Thomas “Tom” Michael and Mattie Eva Lovelace Fellers. Mrs. Nicosia was a member of the Lutheran Church of the Redeemer and the American Legion Auxiliary. She loved to cook and was a wonderful, caring wife, mother and sister, always thinking of her husband, children and others before herself. She was a true elegant southern lady. She is survived by her daughter, Anna Marie Nicosia and her husband Jerry Haltiwanger; son, Joseph “Joey” D. Nicosia; sisters, Joye F. Senn and Mary Louise Fellers; brother, Tommy M. Fellers, Jr.; all of Newberry and several nieces and nephews. In addition to her parents, she was predeceased by her husband, Joseph “Nick” Nicosia, an infant son and infant granddaughter. Funeral services will be held at the Lutheran Church of the Redeemer on Saturday, January 26, 2019 at 11:00 AM conducted by Rev. Matthew Titus and Rev. Dr. Robert McCollum. Interment will follow the service in Rosemont Cemetery. Visitation will be from 5:00 to 7:00 PM, Friday, January 25, 2019 at the Whitaker Funeral Home. Active pallbearers will be Jimmy Marx, Jeff Carter, Dustin Guy and Justin Guy. Honorary pallbearers will be James Mack, Debra Gary, Genelle, Dominick, Donnie Brown, Sean Montgomery, Joey Riddle, Lorie Senn and Dr. Oscar Lovelace. Memorials are suggested to the Lutheran Church of the Redeemer, 1515 Boundary Street, Newberry, SC 29108; and the Newberry County Humane Society, P. O. Box 485, Newberry, SC 29108. "Email Address" would like to share the life celebration of Marie Fellers Nicosia. Click on the "link" to go to share a favorite memory or leave a condolence message for the family.